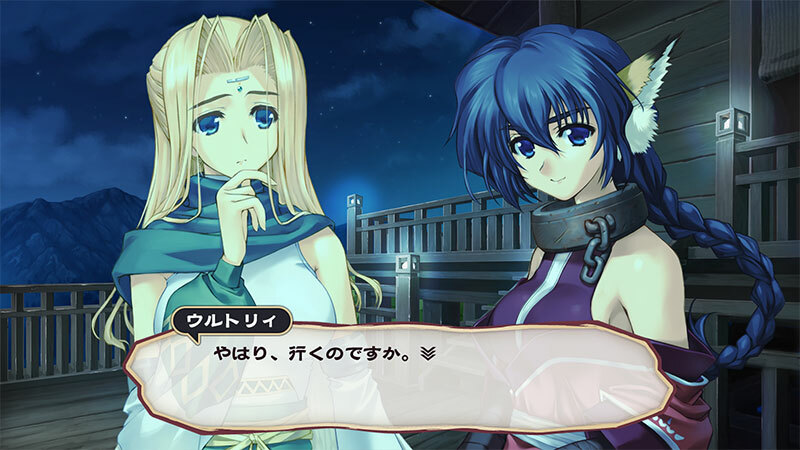 Aquaplus has posted the second trailer for the remake of Utawareumono - the title of which translates to Utawarerumono: Lullaby to the Fallen People in English. The video shows off quite a bit, including most of the cast of characters and several gameplay clips. 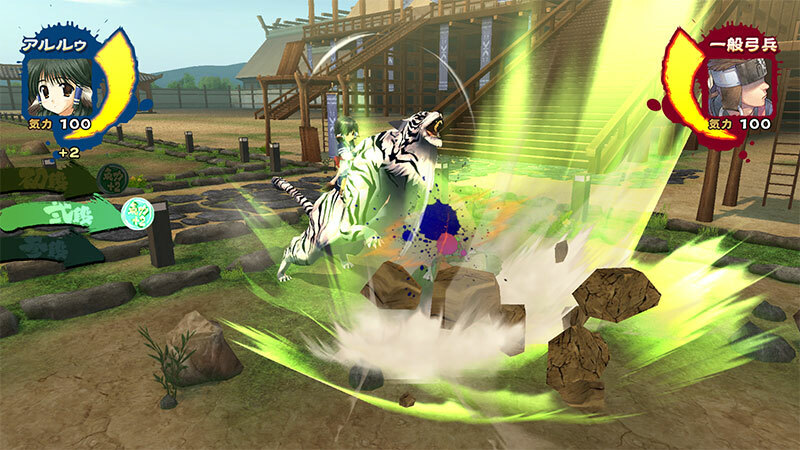 It also shows a clip from the anime special "The Magnificent Days of the Tuskuru Princess " included the Premium Edition of the game. Dorii & Guraa (CV Akeno Watanabe): These twins are Oboro's subordinates. They always move together and have almost the same way of thinking. Their looks almost cannot be distinguished with the exception of their pupil colors. 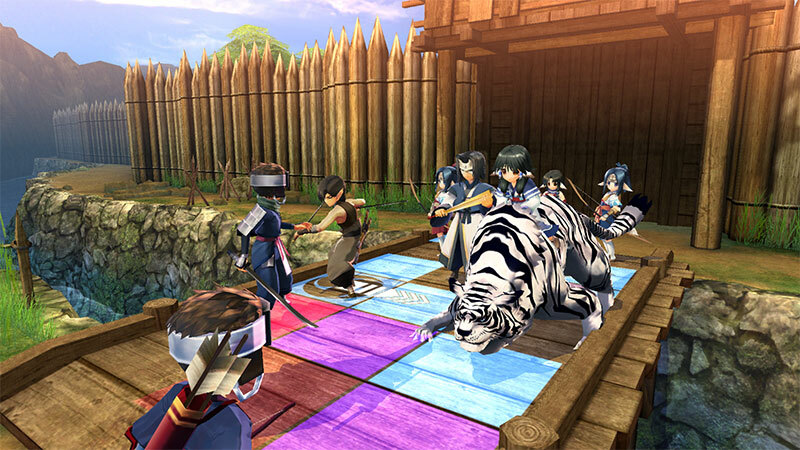 They are expert archers who deeply respect Oboro with affection. 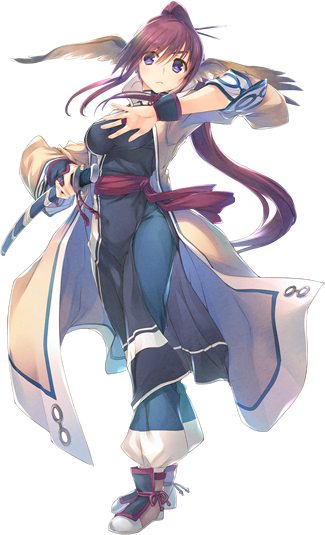 Tusukuru (CV Hisako Kyoda): Chief of Yamayura Village A skilled doctor who healed the protagonist who was brought to her. She's the grandmother of Eruruu and Aruruu, and she is both kind and strict towards her granddaughters. She's very scary when she's mad. 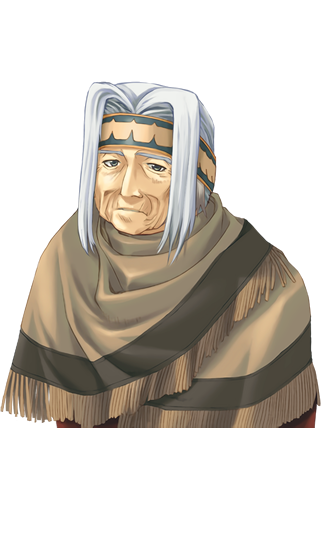 Teoro (CV Hiroaki Ishikawa): A villager in Yamayura. 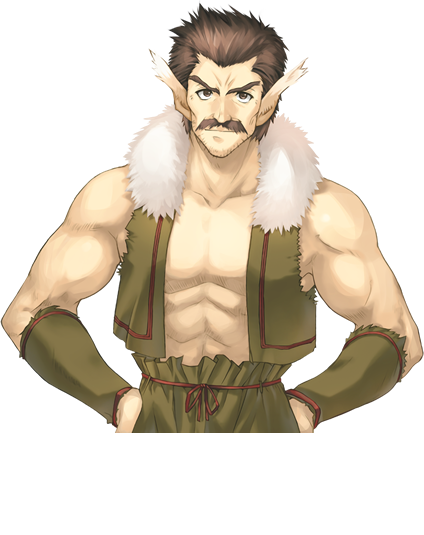 A strong-muscled fine fellow who is Sopoku's husband. He has a hearty personality where he doesn't mind about trivial things, and he is relied upon by his surroundings. 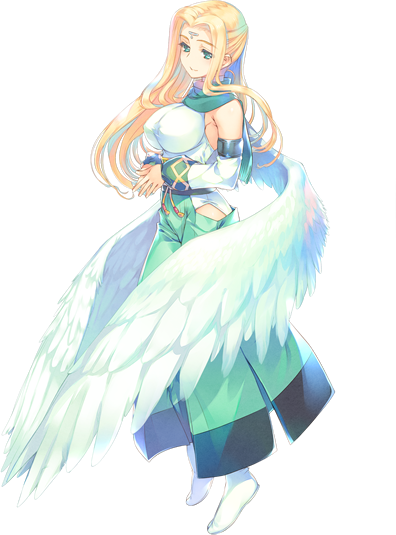 Sopoku (CV Satsuki Yukino): Teoro's wife. A composed and reliable woman, she is affectionate towards Eruruu and others as if they are her own family. 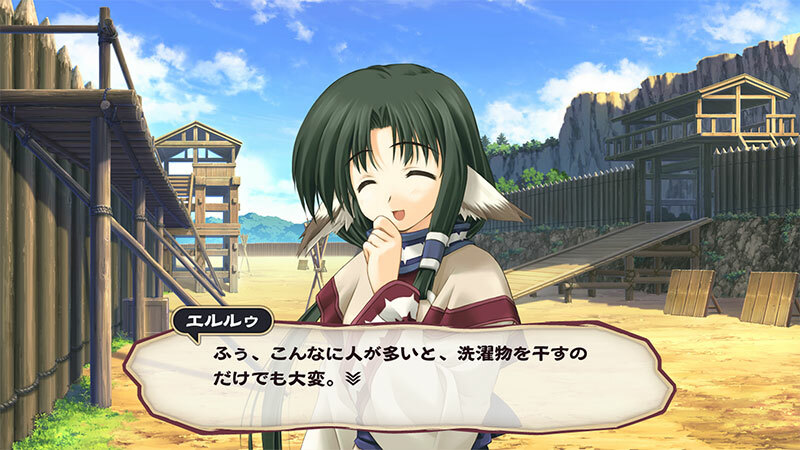 Kamyu (CV Rie Kugimiya): The younger princess of the holy nation of Onkamiyamukai. 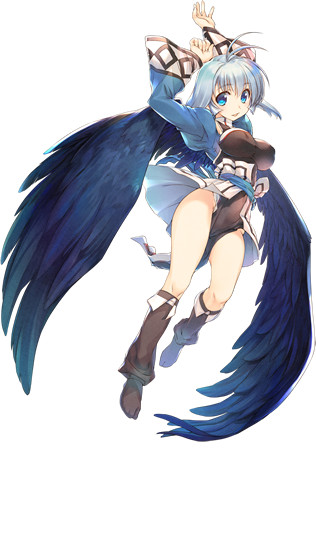 She has black wings instead of the typical white ones, which tends to attract attention from people. Despite her oddities, she is friendly towards everyone. 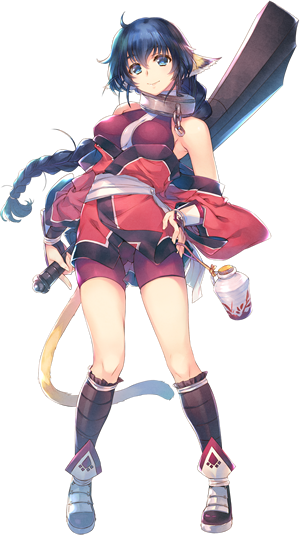 Urutorii (CV Sayaka Ohara): The elder princess of the holy nation of Onkamiyamukai. She has white wings on her back, unlike her younger sister. She was raised to be gentle and caring and is known as a princess among princesses. She tends to worry about Kamyu, who can get lonely due to her dark wings. 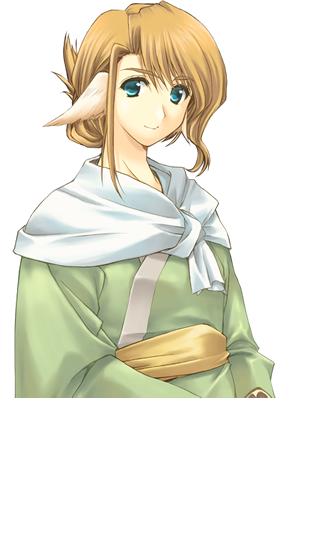 Karura (CV Atsuko Tanaka): A Giriyagina woman who excels in melee combat. She carries a heavy broadsword, which she can life and handle with ease. She has an easygoing personality. While she can be elegant, she also has a bad habit of pulling pranks. 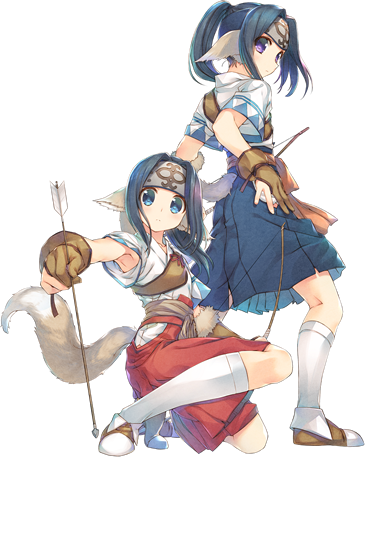 Touka (CV Kaya Miyake): An Evenkuruga warrior who preaches righteousness. She is a mercenary, and she spends much her time traveling across the country. She trained in martial arts, and tends to take things too seriously. 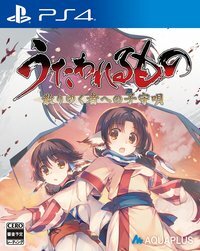 Utawarerumono: Lullaby to the Fallen People for PlayStation 4 and PlayStation Vita will be released in Japan on April 26, 2018. You can find the first trailer and set of character introductions here.